Ever since The Quest for Zest posted it’s contest for Fort Wayne Foodies, I’ve been obsessed with figuring out what meal to prepare. Jon chose this one today and it might be the winner, in my book at least. If the contest were based on the way my house smells right now, I’d surely win. Whisk 2 tablespoons oil and lime juice in large bowl. Add fish and sprinkle generously with salt and pepper; stir to coat. Let stand 15 minutes. Heat remaining 2 tablespoons oil in large pot over medium heat. Add onion, bell peppers, garlic and crushed red pepper; sauté 5 minutes. 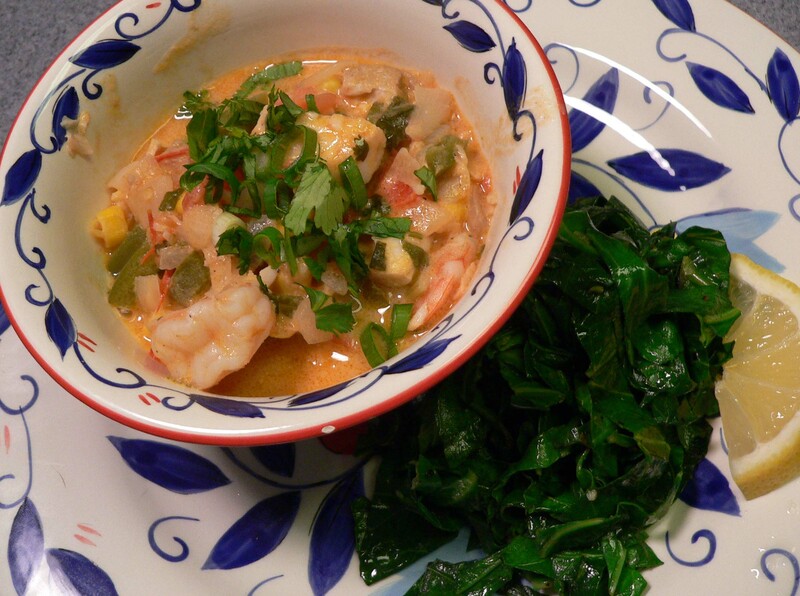 Mix in tomatoes, coconut milk, tomato paste, corn, half of cilantro and half of green onions. 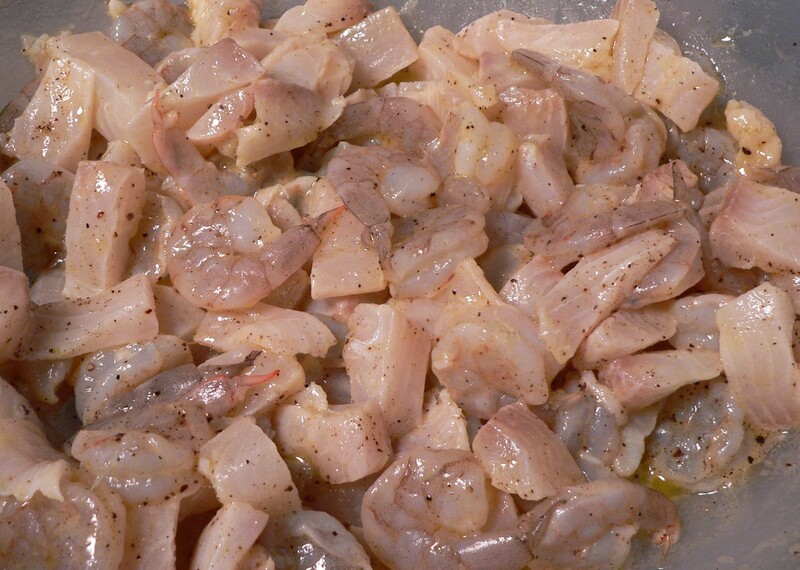 Add shrimp and fish with marinade. 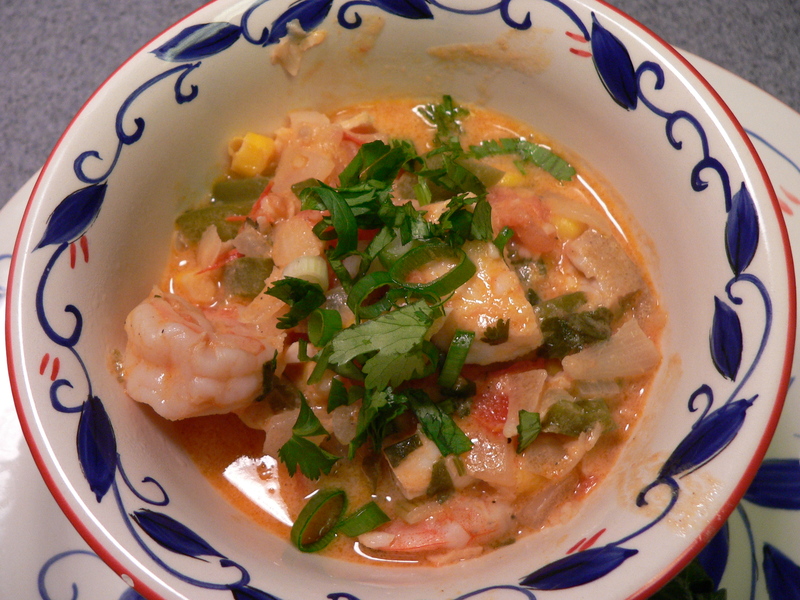 Simmer until shrimp and fish are just opaque in center, about 5 minutes. Season stew with salt and pepper. Transfer to bowl. Sprinkle with remaining cilantro and green onions. 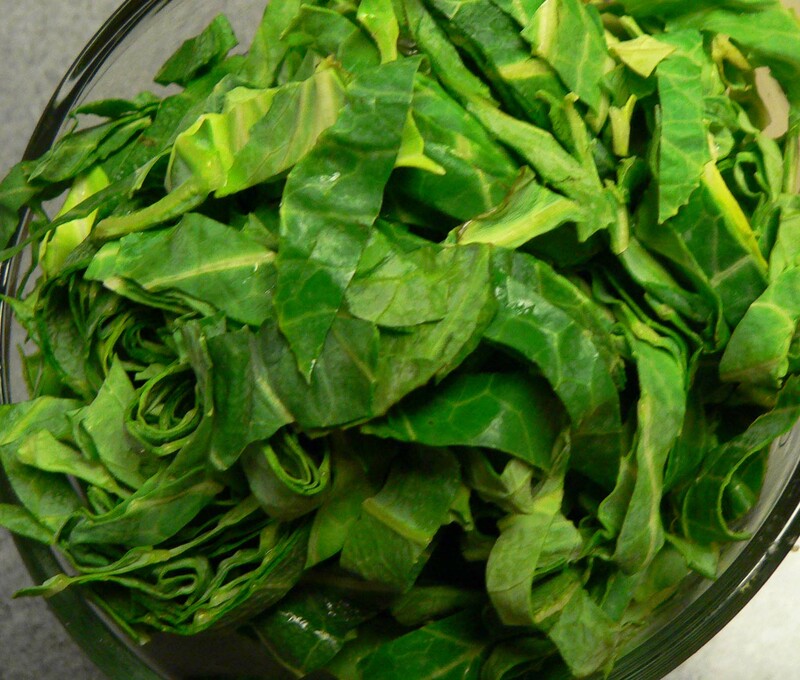 Stack half of collard leaves and roll into a cigar shape. Cut crosswise into very thin strips (1/16 inch wide). Repeat with remainder. Mince and mash garlic to a paste with 3/4 teaspoon salt. Heat oil in a 12-inch heavy skillet over medium heat until it shimmers, then cook garlic, stirring, 30 seconds. 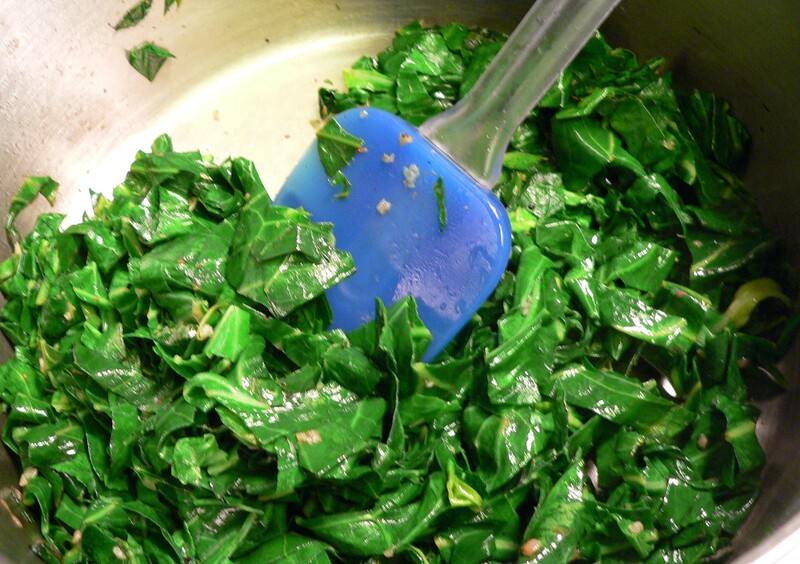 Add collards with 1/4 teaspoon pepper and cook, tossing, until just tender and bright green, 3 to 4 minutes. ← Should You/Can You/Will You Be Yourself?